It has been announced that from autumn 2018 the Department of Health (DH) and Public Health England (PHE) are launching a campaign to train one million people in Mental Health First Aid (MHFA) skills. An online course will support this programme; the course is being developed by Public Health England, aiming to give people the knowledge, skills and confidence to better support their own mental health, and that of the people around them. The UK government has announced that PHE has a budget of £15 million, over three years, which will cover the cost of creating, testing, delivering and evaluating the campaign. At the same time the Royal Foundation of The Duke and Duchess of Cambridge and Prince Harry – in the context of the Heads Together campaign – is investing £2 million to establish a new start-up for digital mental health innovation, which will develop new digital tools to help people have conversations about mental health – whether in times of calm or times of crisis. I wonder to what extent the MHFA online course and programme is likely to be linked to the Royal Foundation initiative – even if not directly linked, the two initiatives seem to me to be linked in what I understand as their ideological underpinnings to be found in the discourse of ‘self-management’ in health that is currently so pervasive in this country. In the discourse of ‘self-management’ patients/service users are constructed as autonomous, self-reliant, responsible and rational consumers who can exercise free choice and control when it comes to their mental health care. 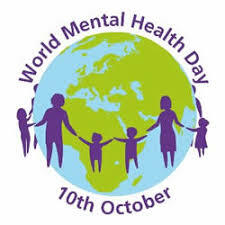 The MHFA and the Royal Foundation digital mental health initiatives need to be viewed in the context of the recent rapid expansion of E-health and M-health (electronic and mobile health) in the domains of mental health care and mental health research in this country. At the same time E-mental health and M-mental health interventions and devices have been criticised as being a euphemism for doing mental health care on the cheap in a great deal of cases. I personally feel that the huge investment in E-mental health and M-mental health is a sheer provocation when one considers what is happening in mental health services at the moment (both inpatient and community services) in the UK- savage funding cuts leading to the depletion of services of skilled staff and the shrinking of teams, and unacceptable bed cuts – to name but a few of the acute pressures mental health services are under. where direct human contact is vital in the interest of cost effectiveness and efficiency savings, and when mental health care is crumbling due to savage funding cuts alongside lavishly funded E- and M-mental health research, then I distrust the use of digital technology in mental health care. Needless to say that at times direct human contact is damaging too…so for me this debate is not merely about digital technology vs. direct human contact. I guess some of my thinking around E-mental health has been shaped by my traumatic experience of computerised CBT for depression back in 2009 when I was severely depressed and not long discharged from hospital…I spoke about this experience at a critical mental health conference in Cork, Ireland in 2015…I am attaching my talk here [Talking therapies_the indispensability of ambivalence_DPoursanidou_Cork conference_November 2015.pdf; see the attached pdf] to give readers an idea as to where I am coming from in my musings. Finally, a friend of mine is working as a mental health nurse in liaison psychiatry and is based in an A&E Department in a general hospital in London; he has told me about the numerous occasions when people in often severe distress have to wait for two or three days to be seen by mental health staff. I wonder what kind of mobile app can fix that one….